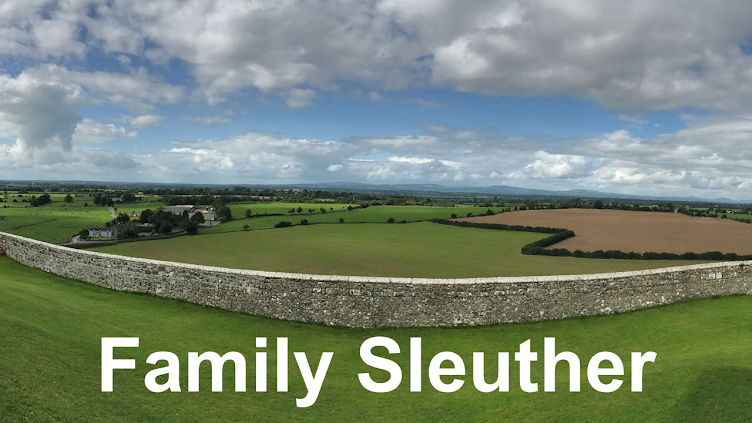 Family Sleuther: Ancestors in Motion: Lights, Camera, Action! Ancestors in Motion: Lights, Camera, Action! I am a bit spoiled very fortunate to have photographs of nearly all 16 of my second great-grandparents. I say nearly all because I'm missing one. Just one. That's William B. Upton who lived until February 1904 - well into the age of photography. But let's not dwell on his inability to sit for a portrait and provide me my sought-after Kodak moment. A couple recent discoveries have distracted me from the disappointment of no snapshot of my 2X Great-Grandpa Upton. I've recently obtained digitized copies of several grainy film reels depicting various family outings over the past six decades. The silent movies include brief appearances by two of my second great-grandmothers. Yes, not one, but two distant ancestors! The first leading lady is Eva (Lamb) Stevens Fagan. She's from my paternal line. She was born December 21, 1885 in Vermont to parents Francis and Phoebe (Jarvis) Lamb. She married my second great-grandfather William Stevens in 1904. He died in 1916 and she remarried several years later to Thomas Fagan. In the footage, the camera pans to Eva and a baby (my paternal uncle). She reaches for a bottle and takes a dramatic thirst-quenching gulp. Based on the age of my uncle, I believe the film was recorded in about 1957 in Colorado's Rocky Mountains. The second starlet is Minnie (Hawks) Lumpkins Barber. She's from my maternal line. She was born April 21, 1881 in Kansas to parents Edmond and Iva (Haworth) Hawks. She married my second great-grandfather John Lumpkins in 1897. He died in 1910 and she remarried in 1914 to Joseph Barber. In her big scene, Minnie struts across the yard - begrudgingly - towards the camera. The film quickly cuts to her birthday at a lake, perhaps Plainville lake or Webster reservoir in Kansas, where she is seen cutting a two-tiered birthday cake. I'm unsure of the exact year, but probably in the 1950s or 1960s. They say a picture is worth a thousand words. But what's the value of a film? These are exceptionally short clips with no audio, yet they still give me an inkling for these women's personalities. Eva comes across as nurturing, graceful and thirsty. Minnie portrays a sense of humor that's never seen in her frowning photographs. The worth of these film clips cannot be quantified. They're immeasurably valuable to this family historian. Do you have old family film reels? What's the most distant ancestor you have recorded in motion? How lucky you are to have some home movies. Love this! I'm incredibly lucky, I know. It's very fortunate that the original reels of film survived the past six decades let alone that I was able to obtain a digitized copy! It's fantastic how technology today allows us to both preserve and share these gems. This is incredible. You are so fortunate to have them. 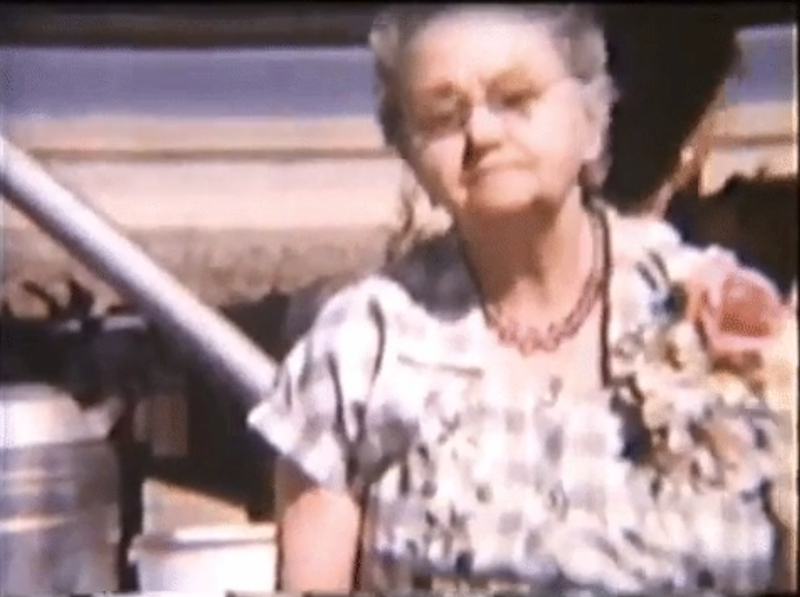 May I ask---how did you convert these from old home movies to a format you could post online? The original film reels were first digitized. This was done by professionals. For what it's worth, I did do a post a while ago on tips to consider when digitizing VHS (http://www.familysleuther.com/2015/12/5-tips-to-consider-when-digitizing-vhs.html). For the clips featured in this post, I worked with film files saved on DVDs. I saved the files to my desktop and trimmed the clips using Windows Live Movie Maker. That allowed me to cut down to short clips featuring my targeted ancestor (in this case Eva and Minnie). I then saved the movie files to my cloud drive and uploaded them to YouTube (I have a Family Sleuther account where I keep old family movies - some public and some private). For the purposes of the blog, I used giphy.com to make those YouTube clips into short repeating GIFs. I can write more about this entire process if it's helpful. I am sorry---I never saw your response. The email notification went to Spam. :( Thanks for the information. I have old home movies I put on VHS years back and then on to DVDs more recently. But I haven't figured out how to get them on the computer, so I will take a look at your earlier post also. Thanks! No worries, and good luck, Amy! Digitizing them and storing them on the cloud is a good next step.